After traveling to and auditioning in the first session of American Idol auditions in San Diego, what I realized most is that American Idol is a television show before it is an actual singing competition. 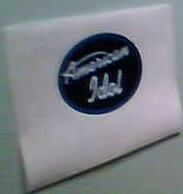 This entry was posted in Young Voices and tagged audition for american idol on September 30, 2007 by vpdot. Hi, Nicely written Shana, am really glad you had the courage to audition for American ido. Couldnt have been easy. Also glad that you wrote about it. One of my favourite shows, was fun to get a behind the scenes look. Keep up with your passion, don’t give up. Hats off to you for taking the initiative! You won by just getting out there and giving it your best….